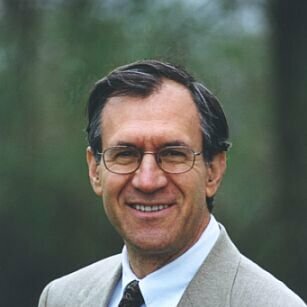 In Altered Genes Twisted Truth, author Steven Drucker tells the real truth about GMO foods that “they” don’t want you-to see! Epigenetics is a new branch of genetics that is the most important biological discovery since DNA. Until now it was thought you were stuck with the genes that you were born with. But now we know that your genes have a sort of a dimmer switch that regulates your gene activity up or down or on and off, depending on lifestyle and environmental factors. — DEEPAK CHOPRA MD is author of more than 80 books in over 43 languages including many New York Times bestsellers. DR. RUDOLPH E. TANZI, Ph.D. is Professor of Neurology at Harvard and was one of TIME’s 100 Most Influential People for 2015. 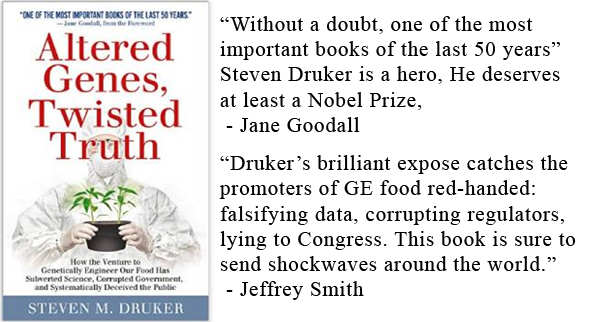 In the book, Steven Druker explains how the U.S. government and biased, well-paid scientists have intentionally misrepresented the facts about GMO’s for over 20 years. Primatologist Jane Goodall said it is “without doubt one of the most important books of the last 50 years.” The book is the result of over 15 years of research showing how GM foods became commercially viable ONLY because the FDA covered up the truth, lied about the facts and violated federal food safety laws by letting them be marketed without ever being actually proven to be safe. If the FDA acknowledged the warnings from their own scientists, GMO’s would have imploded and never have even gotten off the ground. The Real Purpose of GMO’s — and It’s Not Feeding the World! I studied nutrition at U.C. Berkeley and was a nutrition writer for Shaklee Corp. in the 1980s. I became a raw foodist in 1995 at the Optimum Health Institute of San Diego where I taught raw food for several years. Later, I taught at New Life Expos, Wild Oats stores and many other venues. I created this website in 1996. My greatest joy is learning about raw food, nutrition, health and more then sharing it with you. Thanks for making RawFoodLife.com the #1 website for Raw Food!